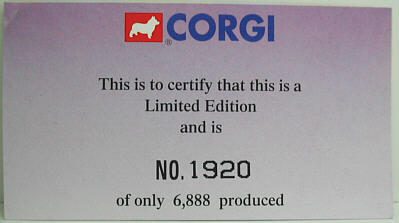 The model - this model was released in Hong Kong on 7th August 1999. 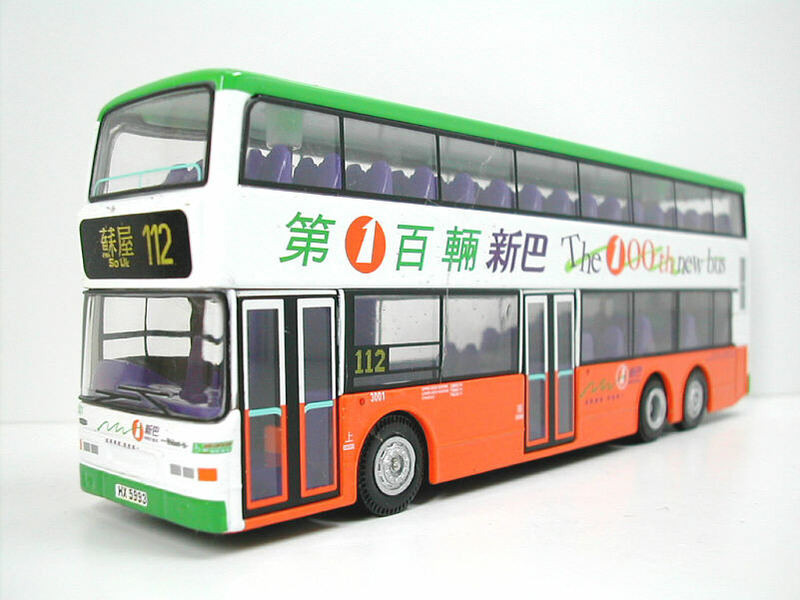 Quantities of this model, along with the "Farewell" Victory, were unexpectedly released in the UK during May 2001. 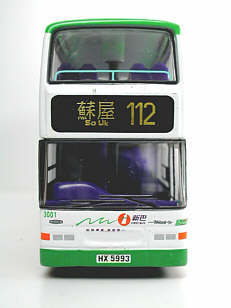 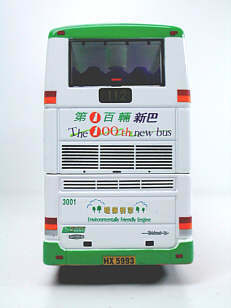 The bus - in order to fulfill its commitment in fleet and service upgrade, New World First Bus has continued to to purchase new buses. 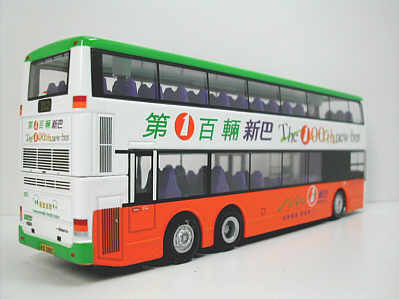 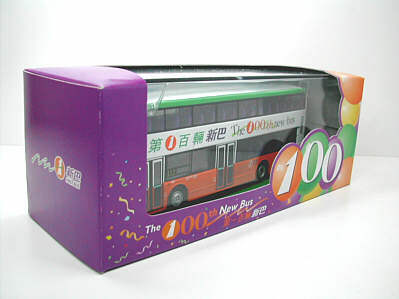 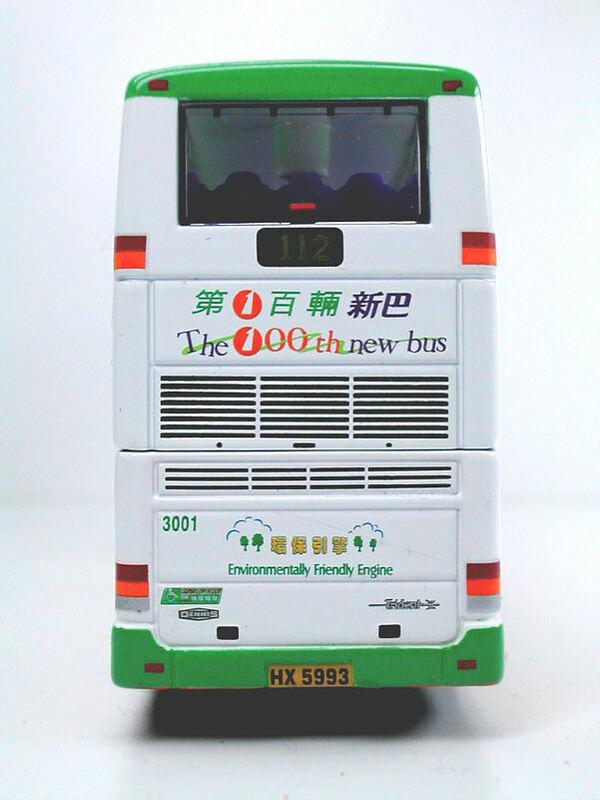 On November 12th 1998, the 100th new bus joined the gradually younger and more sophisticated NWFB fleet. 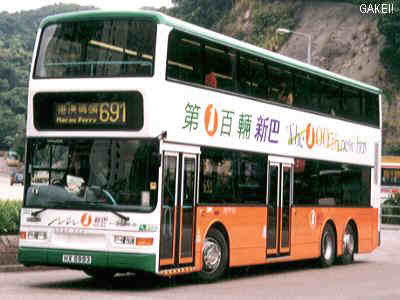 Fleet No 3001 is the first Duple Metsec bodied Dennis Trident.